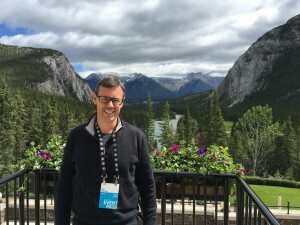 I’m in Banff, Alberta for my second trip to the Banff World Media Festival. Proof that I’m in the mountains! For the uninitiated, Banff is part festival, part conference, and part market. It’s bias is towards TV, and has a distinct Canadian flavour, but it’s embracing all things digital and a global outlook. 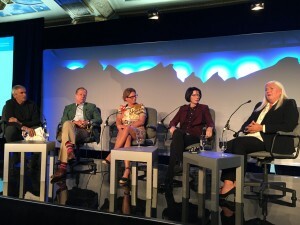 For four days, a major players from content creation and transmission (in all it’s forms: tv, OTT, web, mobile, etc) come together in the mountains to talk trends, create opportunities, and gasp at the scenery. — Consolidation in the Canadian television market — good, bad, indifferent? Canadian media leaders discussing the future. Minister Joly explains the huge economic impact of the creative industries. 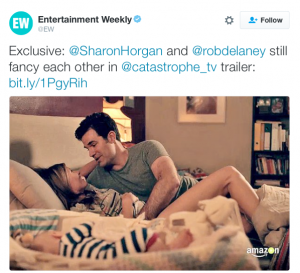 Do yourself a favour and watch Catastrophe. For me, it’s great to be in the traffic and discussions, and to share new ideas. 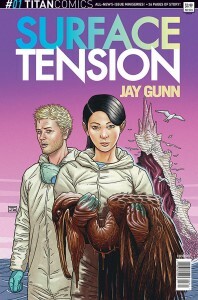 I’m delighted to be showcasing Surface Tension, the incredible graphic novel we’ve just optioned. 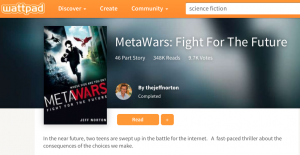 On the younger side, people are getting excited about MetaWars…especially with its impressive wattpad reads. The mood feels buoyant, focused on the creative, and happy to be in such an exciting industry. 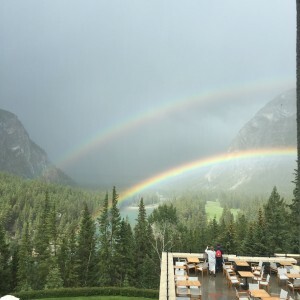 Yesterday, during the DHX party, during a rainstorm, the clouds parted and suddenly a stunning double rainbow appeared over the Bow Valley. Everyone stopped their chit chat and clamoured to the windows to take in the vista. People stopped looking for their pots of gold for a few moments and enjoyed the view of the rainbows of Banff.